The University of Arizona Division of Dermatology at the College of Medicine – Tucson provides outstanding clinical care to patients with skin conditions and benign or malignant skin tumors. Our educational programs include a three-year advanced dermatology residency. Our close relationships with dermatology specialists in the community augment our teaching and clinical work. The physicians and medical professionals in the Division of Endocrinology, Diabetes and Metabolism are specially trained in the medical science, diagnosis and treatment of diseases of the endocrine system and its related conditions. In addition to our clinical responsibilities, we train future endocrinologists and are engaged in biomedical research. The Division of Gastroenterology and Hepatology provides comprehensive resources for the diagnosis and treatment of digestive diseases. These include disorders of the esophagus, stomach, small intestine, colon, pancreas, gall bladder, liver and bile ducts. We are committed to excellence in patient care, education and research in digestive diseases (gastroenterology) and liver disorders (hepatology). The Division of Geriatrics, General Internal Medicine and Palliative Care marries the study and practice of medicine across a broad spectrum of care. Really, though, it’s simply about care for adults. We promote healthy and functional lives for all adults—whatever their stage in life—through comprehensive programs in research, education and training, and clinical care. With more than 15 medical oncologists and hematologists, the Division of Hematology and Oncology works within the University of Arizona Cancer Center—the only cancer center in the State of Arizona to receive comprehensive designation by the National Cancer Institute. Our investigators have leadership roles in national organizations and pursue many lines of research in NCI-funded and active Phase I studies. Our fellowship training program prepares fellows for certification in medical oncology and/or hematology. The Division of Infectious Diseases is committed to research, teaching and patient care. Our excellent Fellowship program graduates physicians who are well trained in both the art and practice of Infectious Diseases, and provides fellows with opportunities for bench and clinical research. Hospital medicine is a relatively new and rapidly growing field of medicine specializing in the medical care of hospitalized patients. At the University of Arizona, our hospital medicine program was officially started in 2005—and it is one of the newest divisions within the Department of Medicine. We now provide round-the-clock care to our hospitalized patients. 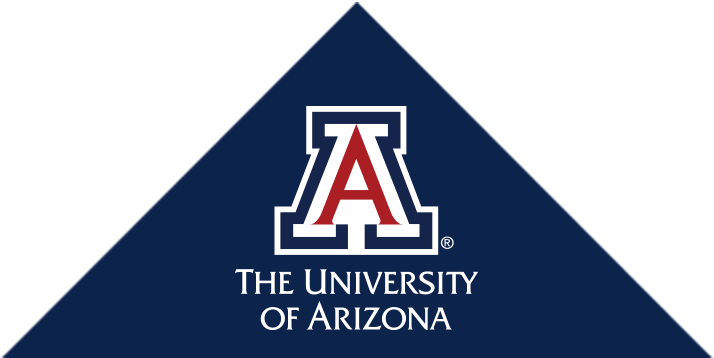 The Division of Nephrology in the University of Arizona Department of Medicine has active programs in clinical nephrology, teaching and training of fellows, and range of research opportunities. An important focus of the division is to emphasize translational and multi-disciplinary programs that truly go from bedside to bench to bedside in advancing patient care solutions. The Division of Pulmonary, Allergy, Critical Care and Sleep Medicine began in 1968 as the Pulmonary Section of the University of Arizona's Department of Medicine. The UA College of Medicine – Tucson had only existed for two years at that time. The division was established by Benjamin Burrows, MD, an emphysema specialist who came from the University of Chicago and was behind the launch of the Specialized Center of Research (SCOR) in Pulmonary Diseases — now the University of Arizona Respiratory Center (ARC) — in 1971 with a grant from the National Institutes of Health. It was the first “center of excellence” at the UA. Dedicated to eradicating arthritis as a cause of human suffering through biomedical research, teaching and patient care, the Division of Rheumatology and its affiliated UA Arthritis Center were among the first to employ a multidisciplinary approach to combat arthritis and bone and connective tissue disease. The Division of Translational and Regenerative Medicine provides a collaborative facility to foster joint research activities and the exchange of ideas across multiple disciplines in order to drive medical breakthroughs.